The site on which the Methodist Chapel stands was bought for £80 from William Horne in the late 1800's when it was decided that the old chapel was too small for the congregation. Mr Lebbell King a beloved member of the society was commisioned to build it. The cost was £700. The foundation stone was laid on Easter Monday, 16th April 1900. Heavy rain interfered so half way through the cememony shelter was taken in the school room. The stone-laying of the school took place on Whit-Monday, 4th June, the same year. In October 2003 the church council decided to look at the feasibility of complying with the above act. The building built in 1900 had narrow doors and a step into most rooms. It appeared a daunting task for the 10 members with the cost expected to be between 10 and 15 thousand pounds. An architect was contacted and his estimate was between 16 and 20 thousand. Drawings were commissioned and applications made to several organisations for grant aid. This was a slow process; some grant committees only meet twice a year. The Biffaward application form consisted of 13 pages with difficult questions e.g. what is the area of your nearest landfill site. After much work and waiting Biffaward were very generous and funded 90% of the project as it was at the time the application was made to them. Breckland District Council visited to see what was being proposed and were very helpful but pointed out the 1977 kitchen, which was not in the scheme, was not up to current standards. It was decided to add the kitchen to the project if funds could be raised, otherwise it would be done at a later date. As the months past the cost continued to rise but also offers of help were received in addition to Biffaward grants were received from The Paul Bassham Trust, Breckland District Council, The Garfield Weston Foundation, The Hunter Rowe Trust, The Beatrice Laing Trust, Lloyds TSB Foundation, The Norwood and Newton Settlement. 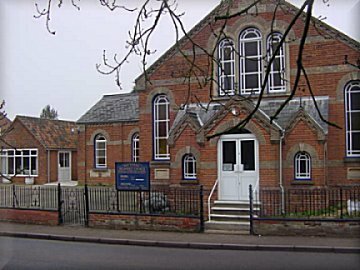 The members had some funds in hand; Dereham and Swaffham Circuit provided a grant, as did The Trustees for Methodist Church Purposes from Manchester. By the spring of 2005 the funds were in hand. Approvals and quotations were obtained and in July 2005 local builder P.J & L.J Matthews started the building work and finished by the end of October. The church now has four new white powder coated aluminium doors one metre wide. The car park and the complete inside of the church are on just two levels with a ramp between them. The toilet is wheel chair accessible with colour contrast fittings. The kitchen is completely refitted with cooker, fridge, cabinets and two sinks. The internal ramp, toilet and kitchen have non-slip flooring, the external lighting has been improved and a certificate to BS 7671 issued for the complete building. The project took two years to complete but people and organisations were very helpful and much improvement has been achieved. People like to tell us we miss out by not having raffles and tombolas but true to the Methodist tradition no lottery money was used and not a single ticket sold to meet the final bill of £33,004.57p. New upvc doors to Chapel, Schoolroom and Meeting room. AND SCHOOL ROOM AT MATTISHALL. On Wednesday, a new chapter was opened in the history of Primitive Methodists in the village of Mattishall, a new Chapel and school-room being there opened. 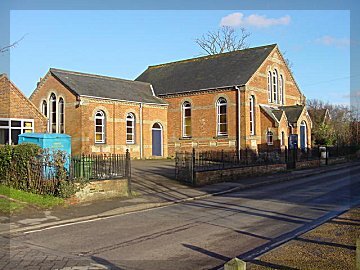 For upwards of 80 years the society has worked in this parish, being first missioned by the venerable Robert Key, well known as the Norfolk pioneer of Primitive Methodists. The friends at Mattishall may feel justly proud of their new buildings, for they stand in a commanding position in the centre of the village, and are a splendid ornament, worthy of the connection. The building is in the Romanesque style, and has a seating accommodation for 200 persons. The schoolroom will seat 120 children. The building is of red a brick, relieve, with white string courses and stone cills. It is well lighted by six large windows, with circular heads all of which open with patent quadrants. The chapel has an elevation from the road approached by four stone steps. The front has a noble appearance, with a large centre triplet widow and a smaller one on ether sides. These are glazed with cathedral glass, with a darker hued margin. The beauty of the front centres in an ornamental triple porch, which is of a handsome design. The roof is of slate, and is finished with iron finals on the gables. Attached to the chapel is a schoolroom with a sliding partition between, to be moveable so as to utilise the schoolroom for public meetings. Adjoining the room are the out offices. The whole building is fitted with hot water apparatus by Mr C Gunton, of Norwich. The fittings are of ornamental pitch pine stall heads, with ridge roll backs and Oregon pine seats, the panels filled in with redwood match boarding. The seats are furnished with book board and hat pegs. The floor is raised nine inches higher at the entrance than at the back, thus giving the congregation a better view of the rostrum, which in turn is placed on a raised platform, ten inches from the ground floor. Upon this platform will be placed the orchestral fittings. The rostrum is of handsome design, framed in pitched pine, filled with metal panels, and finished with mahogany capping. The whole is enclosed by a communion rail on ornamental iron stands. The walls are cladded to the height of four feet, finished with a heavy moulded capping, while above they are finished in stone colour. The roof has a very pleasing appearance, bent open with curved ribs and hammer beams, and boarded with close boarding, fixed diagonally. The moulded groynes are supported by ornamental stone corbels. The chapel and schoolroom is well provided with artificial light, having six powerful draught lamps of a new design. The buildings were designed by Messrs Kerridge & Sons of Wisbech (architects), and the works has been most satisfactorily carried out by Mr Lebbel King of Mattishall, contactor. The cost is estimated at £750 toward which there has been raised about £360, a noble sum for so poor a glass of people, showing great self denial and a great belief in voluntaryism. The energetic Circuit minster, the Rev G Edwards, of East Dereham has been working most assiduously to raise funds towards the new buildings. He has mapped out a month’s special meetings for the opening services, for which he has been successful in securing some of the foremost men in the connexion. He has also asked that £100 be raised during these services. The dedicatory service on Wednesday was in the presence of a large congregation. 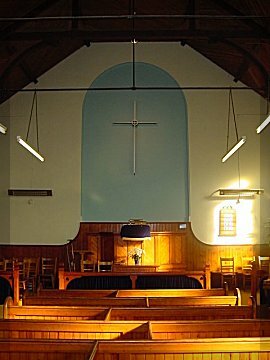 In the afternoon the audience assembled for a final meeting in the old chapel, where the Rev G Edwards gave a short of Primitive Methodism as applied to their society during the past 80 years, referring more particularly of the early efforts of the late Rev Robert Key’s mission in the village. He then called upon Mr Lebbel King, the Circuit steward, to make a presentation.